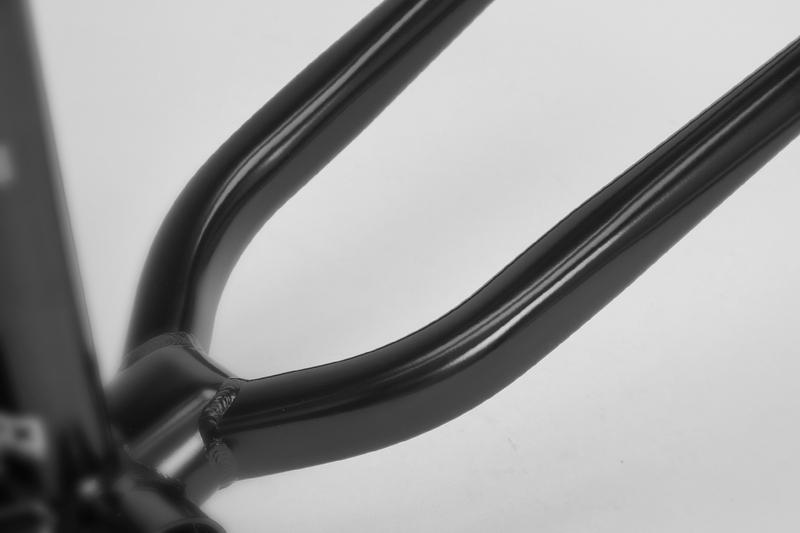 We’ve updated the chain stays with a “boxed” tube shape that helps fight denting. The new shape enables the frame to have a shorter rear end as well providing clearance for larger sized rear tires. It’s not uncommon to see 2.35″ – 2.40″ tires in the rear on a Soundwave. It’s a non-traditional boxed style with rounded instead of sharp corners.